Tablet devices, such as the iPad, have been around in some form since 2002. Since that time, the technology of tablet devices has not only improved to allow these devices to perform a variety of functions, but they have become less costly. As tablet devices have become more common, schools and educational institutions have had to deal with the realities of both the benefits that introducing tablet computers into the classroom can bring for the learning process, as well as the problems that can arise. Schools and educational institutions have actually been quite slow to introduce tablet devices into the classroom. The reason for this is largely due to the culture that exists within education that is based on the idea of a teacher leading a classroom of students in lessons while the students take notes or complete assignments in relation to the instructions of the teacher. The culture of education, that has been fostered over decades and even centuries, is having to change and adjust to the realities of the modern era in which it is common for students at the very youngest ages to be comfortable with computing technology and to readily use tablet computers in their homes. However, schools and educational institutions must ensure that any use of tablet devices will benefit the educational outcomes of students as opposed to simply allow for the adoption of what might be little more than a passing fad or even a waste of time in relation to educational objectives. The purpose of this paper is to provide a critical review of the literature on the use of tablet computers in the educational setting. In conducting this literature review, the key question that is to be addressed is what should be the role of tablet technology in the curriculum. Furthermore, issues related to the advantages and disadvantages of table technology will be examined, as well as whether the introduction and use of tablet technology should be delayed or controlled in some way in order to prevent harm to educational outcomes. It should be noted that in the process of reviewing the literature and attempting to provide answers to these questions, the focus of this paper is not on the actual technology of tablet computers and devices, but their use in the educational setting. The actual technology of tablet devices will only be raised when it is necessary to discuss their usage in the classroom. Educational Objectives. In examining the literature regarding the implementation of tablet technology in the classroom, it seems appropriate to begin with the issue of tablet devices in relation to larger educational objectives. It has been noted that the introduction of tablet devices such as the iPad should not occur solely because the devices exist or because of some idea that they may improve the educational environment. Instead, the introduction and use of tablet computers in the classroom should occur in relation to the larger instructional process. Tablets should be thought of as part of the larger curriculum and should be used to achieve the objectives of the curriculum as opposed to attempting to fit the curriculum to tablet technology. Taxler actually raised the issue of possible disruptions in the instructional process because of tablet technology. He argued that the implementation of tablet technology in the classroom should occur in a way that avoids disruptions because of students using the technology for personal communications with friends or taking part in activities that are generally outside of the realm of education. However, even as Taxler argued for a focus on not allowing tablet technology to disrupt the larger educational objectives of a school, he also pointed that out tablet technology makes it possible for students to access and store information in a way that actually puts them in control of their learning. The fact that a concern exists about tablet technology creating a disruption to achieving educational objectives, while also putting students in greater control of their educational activities may suggest that some educational objectives do indeed need to be adjusted. In conducting research on the use of tablet computers in the classroom, Tutty, White & Pascoe noted that their perceptions of the use of tablet computers in the classroom changed. They explained that while the delivery mode for instruction should not determine the way in which instruction is provided, changes in instruction can occur to enhance or improve the mode of information delivery. For example, rather than relying on tablet computers to allow students to create presentations or search for academic information, they might also be used to allow student to take notes in the classroom and even share notes with each other. In this way, the larger educational objectives have not been comprised. Instead, the way in which tablet technology is used has been adjusted to improve the delivery of instruction and the ability to achieve educational objectives. One of the suggestions that has been put forth within the academic literature is that tablet technology should be used as a way for students to actually engage with lessons as opposed to being passive learners. Teachers should encourage students to use tablet computers to share information about assignments in the classroom, as well as seek out information on their own to solve problems. In this way, teachers take on the role of facilitators and mentors as opposed to rigidly dictating how students complete tasks. If the ideas presented by Tutty, White & Pascoe are correct then it would seem that some adjustment will have to occur in the way in which instruction is provided. Within education, teachers generally want students to be able to solve problems on their own using the information and knowledge that is available to them. In this way, the concept of the role of teachers shifting from authoritarian leaders with strict guidelines for how to complete assignments to mentors and facilitators that guide students to achieve specific educational goals and outcomes would seem appropriate. 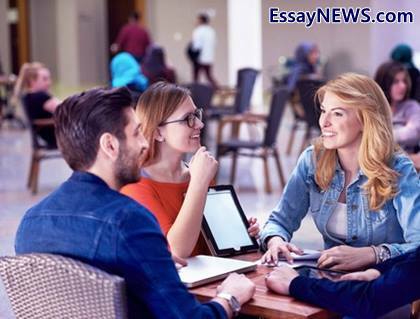 The educational objectives are being met, but students are also using table technology in a way that allows them greater freedom to work with each other and to explore possible solutions and knowledge related to those educational objectives. Classroom Instruction. Osmon explained that the use of tablet technology in the classroom should allow for a wide variety of tasks and processes to be completed in a paperless environment. A tablet computer has the functionality to act as a notepad on which students can take notes, as well as the textbook as larger numbers of textbooks are now available in electronic format. Furthermore, tablet computers (that typically can be connected to the Internet via a system of Internet protocols / domain names) allow students to store the work that they complete and to electronically submit assignments to teachers to be graded. With the idea that tablet technology provides for the ability to do more than simply visit websites or take notes, Norris & Soloway provided a description of how tablet computers can be used to complete an entire lesson. A classroom lesson on plant growth can begin with the use of tablet technology to provide students with the specific goals for the lessons and the outcomes that should be achieved sent to each of their tablets. Then, a video can be uploaded for the students to watch on their tablets that provides basic information about how plants grow and the nutrients that are needed for plant growth. Next, students can create a database with information about plant growth and the functions of different parts of plants. Once the basic learning has occurred, then students can move outside to take photos of plants with their tables and even create images in which they label the various parts of the plants that have been photographed. Finally, maps and flowcharts can be created about the lifecycle and growth processes of plants. Norris & Soloway demonstrated that tablet technology can be used to complete all aspects of a lesson plan, from relying information about objectives to students to moving beyond basic classroom work and actually allowing students to interact with the topic of the lesson. Milman, Carlson-Bancroft & Boogart provided similar examples of the way in which tablet technology can be used in the classroom for a variety of activities. The researchers explained that tablet devices can be used to allow students to interact with math lessons and demonstrate mastery of math skills. At the same time, tablet computers can be used to allow students to create artwork and videos. Even more, tablet computers can be used in the writing process to allow students to create short stories and books that can be shared with other students as a way to demonstrate language and phonics mastery. Okita & Jamalian also demonstrated in their research how tablet computers could be used to teach students the importance of solving math problems in a structured manner so that they could follow each step and identify where mistakes were made. The academic literature has shown that tablet technology can be used for all aspects of educational lessons. When combined with the research regarding the use of tablet technology in relation to educational objectives, tablet computers can be used effectively to achieve desired educational outcomes. As was noted by Tutty, White & Pascoe, the use of tablet technology in the classroom for more than searching the internet or taking notes does seem to require that teachers think about how to plan and execute creative activities for students. In the example of a lesson regarding plant growth, for example, a teacher would have to think about how to take activities that might normally be performed on paper, such as a lecture about the plant growth process or drawing the parts of a plant, and move them to tablets in which videos can be viewed and interactive drawings and databases can be created. Student Interaction. One other issue that seems important within the larger area of the implementation of tablet technology in the classroom is student interaction. Vahey, Tatar & Roschelle explained that tablet technology provides for the ability to allow students to move between the public and the private. What is meant by the idea of moving between the public and the private is that students can use tablet technology to perform private work, such as completing a test or completing a mathematics assignment. However, students can also use tablet technology to perform public work, such as collaborating on a mathematics assignments or collaborating on a grammar assignment. More importantly, the tablet computers allow students to easily move between the public and private. A student may complete a grammar assignment in private, but then upload the assignment to a public server in the classroom so that other students can download the assignment and provide feedback to the student. Alvarez, Alarcon & Nussbaum noted in their research regarding collaboration in the classroom with tablet technology that not all instruction with tablet computers is collaborative, and not all collaboration has to occur solely through the technology. Instead, student interaction can be enhanced with the tablet technology by making it easier for students and teachers to share information in a public forum. However, collaboration can still occur in a face-to-face manner with teachers providing instruction and guidance to students, and with students working in face-to-face groups assisted by their tablet computers to search information or share documents. Once again, the issue that seems to arise is how teachers can use tablet technology to enhance the larger educational objectives of the curriculum, but also how classroom instruction may need to be adjusted in order to achieve those objectives more effectively and efficiently because of tablet technology. If one of the stated goals of implementing tablet technology in the classroom is to enhance student interaction, all of the interaction does not have to be through the tablets. Instead, teachers have to determine which activities should be performed privately, which activities should be performed privately and publicly, and the role that tablets should have in public and private work and collaboration. In discussing the benefits and problems related to the use of tablet technology in the classroom, the issue of personalized learning has been raised. The concept of personalized learning is that students have the ability to make decisions about the specific information or content they wish to pursue within the classroom. This idea of personalized learning is something that should be treated with respect by educators as research has indicated that larger numbers of students are pursuing personalized learning. For example, research has indicted that 12% of high school students have taken classes outside of their basic high school coursework online in order to pursue a topic that was of interest to them. Unfortunately, as Olofsson, Lindberg, Gransson & Hauge have noted, there is often a lack of knowledge on the part of teachers and educational leaders about how to direct the use of tablet technology in a way that benefits educational outcomes and educational objectives. In the case of personalized learning, the desire of students to direct their own educational outcomes can easily create conflicts with educational leaders who have established specific educational objectives and outcomes that may be different than those of the students. When a conflict arises from the desire of students to have control over their learning and to engage in specific areas of learning based on their own desires as compared to the educational goals and objectives that have been created for all students, teachers and educational leaders must be able to address this conflict. They must be able to make decisions that will benefit the students, while also preventing students from ignoring specific areas of the curriculum that are important to their larger educational experience. Park has indicated that the conflict between personalized learning and public learning with regards to collaborating with other students and following specific educational objectives and protocols is an areas for instructional designers. Experts who are charged with designing lesson plans and instructional activities need to focus on how to bridge the gap between personalized learning and larger interactions and collaboration within the educational setting. This idea of bridging the gap between personalized learning and public educational objectives yet again brings forward the issue of the need to make adjustments in how teachers perform their duties and the way in which instruction is provided in general. If tablet technology is to be implemented in the classroom and have a place within education, then it is easy to envision a situation in which students who are already accustomed to using such technology might desire to branch off from normal classroom lessons to focus on specific topics and areas of interest to them. Unfortunately, for teachers who were trained to believe that they must be in control of all activities and must rigidly direct the activities of all students, this is likely to create a conflict between teachers and students, and may even make teachers feel as though they are not in control of the educational process. The conflict that can arise between teachers and students with regards to personalized learning only becomes more problematic when considering statistics that show that in science and math classrooms in which students work with teachers to direct classroom learning activities, students are more likely to be interested in careers in science, technology, engineering, and mathematics careers as compared to students in teacher-directed science and math classes. This statistic by itself would indicate that personalized learning on the part of students is important. However, teachers and educational leaders do have to ensure that students achieve the larger set of educational objectives that are important for a well-rounded education. In the end, it would seem based on the literature that tablet technology makes it easier for students to pursue personalized learning, which can be beneficial to stimulate interest in areas such as science and math, but that teachers and educational leaders are also going to need assistance in being able to control the personal interests of students with the larger curriculum that has been created for students. In being able to draw conclusions about what role tablet technology should have in the classroom, it is worthwhile to focus attention on the information within the academic literature about the applications of tablet technology. It should be noted that the applications of tablet technology does not necessarily refer to specific programs that are used on the tablets, but the ways in which those programs are used. For example, Warschauer, Arada & Zheng have noted that tablet computers are well-suited for writing and grammar lessons as students are able to not only create stories, but also share them in order to receive feedback on their use of language and how well they convey ideas to others. However, beyond this basic use of tablet computers, which is little more than the same way in which desktop and laptop computers are often used in education, there are many other applications for tablet technology that takes advantage of their portability and mobile internet access. Roschelle provided three specific classroom applications for tablet computers. The first of these applications is the use of the tablet computers as classroom response devices. The researcher explained that because tablet computers can access a shared network in a classroom, teachers can have students use software that allows them to respond to questions in real-time. In a math lesson, students might provide in-depth responses that involve the completion of a math problem, while in a science classroom, a multiple choice pop-quiz that would normally be conducted on paper can be conducted with the tablets. The second application of tablet technology provided by Roschelle is for participatory stimulation. The researcher explained that in classrooms in which each student has his or her own tablet computer, students can exchange information to each other and ask questions of each other as a way to stimulate discussion and to encourage students to actively engage in the learning process. This actually leads into the third application for tablet computers explained by Roschelle, which is for collaborative data gathering. Students can use their tablet devices to collaboratively gather data and information for projects and share the data and information so that they have access to the full range of information collected as a group. For hands-on projects outside of the classroom, such as learning about plants or soil types, the tablets can be used to take pictures and gather information that can later be used to complete assignments or provide presentations in the classroom. Garcia & Friedman have also demonstrated in their research that there are many applications for tablet devices that can be purchased and used directly out of the box. For example, there are history applications that allow students to explore an historical topic through videos and readings on their tablets in an interactive manner. Once again, the use of pre-made applications does raise the issue of whether the applications are purchased simply because they are available or because they add value to the overall curriculum. However, for those applications that truly add value in achieving the stated educational objectives of the curriculum, it is possible for schools to purchase applications that provide ways for students to interact with information and explore topics in ways that would not be easily possible in other mediums. Gliksman also noted that tablets make it possible to interact with books in a way that increases the ability to take notes and understand the material being studied. The use of electronic books on a tablet makes it possible for students to not simply read the information in a book, but to more easily make annotations and take notes in coordination with specific passages and chapters. In essence, the tablet computer makes it possible for students to bring together reading books, taking notes, and annotating important or useful information. Finally, Keane & Crews explained that tablet computers can be used for what some might consider a very mundane application: providing a way for teachers to disseminate information and instructions without using paper. Teachers can use tablet computers to distribute lesson instructions, classroom policies, and notes about upcoming activities and events by uploading them to a classroom server. Then, the students can always have access to them in the event that they need to review instructions or policies without more copies being printed on paper. While this application for tablet computers might not seem very important or useful, it seems appropriate to consider the full range of activities that can be completed on such a device. While tablet devices can be used for electronic books and for making videos, they can also be used to upload and share files with others, which includes teachers sharing files with students that are related to classroom instructions and lesson activity guidelines. The information that has been examined thus far has been about how tablet technology can be implemented in the classroom, as well as issues of implementation related to larger educational objectives and outcomes. With the information that has been examined, it is appropriate to briefly present some case studies about specific ways in which tablet technology has been used in a variety of classrooms, from very young children to university students, and the issues and outcomes that have occurred. In Australia, iPads have been used for paramedic students to teach them about wilderness medicine in actual wilderness environments. In one particular class, iPads were used for activities that focused on navigation and location, actual wilderness medicine, local network protocol set up, search and rescue. The actual outcomes of the use of the iPads for those activities were somewhat mixed. For example, the iPads were used for navigation because of the built-in gps functionality, but limited connectivity in the area in which the field experiences occurred sometimes meant an inability to access maps on which to display the gps location in relation to other landmarks. In addition, the iPads were used to record patient information that had previously been recorded using standard paper forms. The students actually indicated that the use of pen and paper as opposed to the iPads to record patient information would have been easier. It is important to consider that the reason for the difficulty in using the iPads to record patient information may have been due to the specific software that was used as opposed to the actual input abilities of the iPad. Overall, this small case study involving a paramedic class in Australia suggested that there are indeed limitations for field classes using tablet technology. One of the major limitations can be the lack of internet access. However, even with reliable internet access, the software that is used for the lessons must allow for information and activities to be conducted in an efficient manner. This seems to return to the idea that the use of tablet technology must be about enhancing the overall curriculum as opposed to simply using the technology because it is available. Another case study involving the use of tablet computers involves a class conducted at a film festival for students studying film and video production. Tablet computers were used to allow the students to access videos, shoot and edit videos, and to share them online and with other students. It was noted that in this situation, the use of tablet computers was helpful and enhanced the class because of the ability to shoot, edit, and collaborate on video projects using applications that were on the tablet devices. Rather than having to shoot video and then go to a studio, the students were able to edit their projects immediately. The case study involving the film students seems to provide further evidence for the importance of using tablet technology to enhance the larger curriculum of a class. In an environment in which students need to be able to edit and store video quickly, as well as collaborate with each other, the tablet devices that were used made working on projects and completing them much more efficient. In other words, the tablet devices did not dictate the curriculum, but instead, merely enhanced the work and lessons that were conducted. Finally, in early education settings, teachers have been using tablet devices to download images and provide applications for young children to help them to develop reading and language skills. However, the early education teachers who used the tablet computers in their classrooms in the study conducted in the United States did report that they often found the applications that were purchased for them to use in their classrooms were not appropriate for their students. Instead, the teachers reported generally only using the tablet devices to download images for use in class or to take pictures for the classes. It seems almost unnecessary to raise the issue again, but it does seem that the real issue with regards to using tablet technology in the classroom is being able to use it to enhance the curriculum as opposed to using the technology because it is available. The early education teachers in the United States noted that much of the software that had been purchased by their schools to teach language and reading were not appropriate for their students. In this way, it is possible to speculate that if the software that was purchased for the teachers had been selected based on the needs and abilities of the students, that the teachers may have been able to make greater use of the software in the classroom lessons. In terms of actual educational outcomes for the students, Fernandez-Lopez, Rodriguez-Fortiz, Rodriguez-Almendros & Martinez-Segura that among a sample of 39 students with learning disabilities in Spain, the use of tablet devices for the purposes of teaching language, math, environmental awareness, autonomy, and social skills actually increased their performance in these areas. In fact, the researchers noted that because of the use of the tablet devices, the students were able to take part in activities for which they had previously not been able to perform. The importance of this study is that it demonstrated that the use of tablet technology can increase the performance and functionality of students with learning disabilities for whom the use of tablet devices might be considered too advanced or simply not convenient. On a larger level, Bauleke & Herrmann noted that one of the benefits of the use of tablet technology in the classroom has been to increase the motivation for learning and classroom involvement among students. The researchers explained that students become more involved in lessons and motivated to complete classroom activities because they are able to collaborate with other students and engage in interactive activities that are not possible without the tablet technology. Research conducted by Koile, Chevalier, Low, Pal, Rogal, Singer, Sorensen, Tay & Wu showed similar results with regards to student motivation. The researchers found that the use of tablet devices in elementary classrooms actually increased the involvement of students who previously showed a lack of motivation for classroom activities. It is worth considering whether the involvement and motivation of students in relation to the use of tablet devices in the classroom is because they feel more comfortable using computers and technology to communication and perform tasks, particularly given the likelihood of using such devices at home. Swan, Kratcoski, Hooft, Campbell & Miller found in their research involving observations of third-grade students that the use of tablet technology was associated with the students feeling more engaged in the classroom lessons. The reason for the greater feelings of engagement was that the students felt that they were better able to participate in the classroom lessons and activities. This finding would seem to indicate that the students were indeed more comfortable interacting with information and other students through the technology. A study conducted by singh, Denoue & Das involving the use of tablet devices for taking notes in the classroom found that students actually took better notes with the tablet devices and found the ability to share notes with each other in real-time helpful in relation to classroom lessons. It would indeed seem that students are simply more comfortable using tablet devices to take notes and to perform classroom activities. Even something as simple as taking notes during a lecture appears to be improved when students are able to use technology. It is likely that the use of the technology both increases the interest of the students because of the ability to move away from standard pen and paper, as well as the fact that they use such devices and technology in their personal lives for similar types of functions. In essence, there is a bridging between personal lives and school lives. Finally, research conducted by Goldman, Pea, Maldonado, Martin & White involving summer school math classes showed that the use of tablet devices increased the overall performance of the students on math tests. During the class, average math scores increased about eight percentage points, with some students improving their math performance by as much as 15% to 30%. The researchers also noted that students enjoyed helping each other and interacting with each other because of the improvement in the math performance. This study, along with the other studies regarding the learning benefits to students related to tablet technology demonstrates that all types of students have achieved improved motivation, interaction with students, and actual educational outcomes, including students with learning disabilities. It would be inappropriate to end this literature review without examining some of the literature that has indicated problems or issues associated with the actual use of tablet technology in the classroom. One of the problems that has been identified in the literature with the use of tablet technologies involves the teachers. In order for tablet technology to be used in the most effective means possible, teachers are going to need to be trained on how to use those devices not simply as devices for typing papers or sharing emails with students, but as actual devices that can allow students to become engaged with lesson activities. Unfortunately, when schools do not provide training for teachers on how to effectively use tablet technology as part of the teaching process, students often do not feel engaged in using the devices. The lack of teacher preparation and support for the use of tablet technology is even more troubling in light of research that has indicated that the teacher is a significant factor in determining the overall success or failure of tablet technology to improve student educational outcomes. Beyond the problems associated with teachers needing proper training and support to be able to use tablet devices effectively in the classroom, another limitation of many tablet devices is that they do not allow multiple programs to be used at the same time. The inability to have multiple programs open at the same time means that moving between an electronic book and note taking software requires constantly opening and closing each program as a student moves between them. Even worse, being able to read an electronic book and take notes from it all on the tablet computer is impossible. This inability to truly multitask would slow down the efficiency of some learning activities. Another problem with tablet devices is the lack of a keyboard for easy typing. The lack of a keyboard means that students must be able to type on the digital keyboard that appears on the screen of a tablet. While keyboards can be purchased that can be connected to tablet devices, this does increase the overall cost of providing tablet devices to students. However, the ability to add keyboards to tablet devices does indicate that there is a fairly easy way to overcome the problem of a lack of a physical keyboard if tablet devices are to be used to perform a great deal of typing. Another potential problem that has been raised about the use of tablet devices in schools is their ability to withstand the normal use and potential damage that might occur from being handled and moved around by students. The potential for harm to the devices could be addressed by placing them in protective cases and educating the students about their responsibility to prevent damage to the devices. However, as with the issue of adding keyboards to tablet computers, the work of protecting the devices as they are handled as used by students requires additional consideration for how to best use the devices on the part of school officials. Finally, one other issue with the use of tablet devices in the classroom is the issue of technical support in the event that problems arise with the devices or the network on which they run in a classroom. Schools must have systems in place to ensure that teachers and students receive technical support in the event that problems arise with the tablet devices. Even more, in the event that the equipment that powers a classroom network or entire school network fails to function properly, the ability to access technical support personnel who can alleviate the problems as quickly as possible is important. This means that the schools that implement tablet technology in the classroom must think not only about the actual implementation, but also the maintenance of the devices and the systems on which they operate. The purpose of this paper was to provide a critical review of the literature on the use of tablet computers in the educational setting in order to answer the question of what should be the role of table technology in the curriculum. Based on the critical review of the literature that has been conducted, the answer to this question seems to be that the role of tablet technology should be to enhance and improve the curriculum rather than allowing tablet technology to become the focal point of the curriculum. The studies that have been reviewed have shown that tablet technology can improve student motivation, collaboration, and learning outcomes. However, what has also been shown in the studies is that teachers must assess the quality of the applications that are used for classroom activities, as well as create lesson plans in which tablet technology is used to enhance student learning in ways that would not be possible with traditional teaching methods. Overall, the information that has been reviewed has shown that tablet technology does indeed have a role in the classroom, and can have a very important role. Furthermore, there does not appear to be any reason to delay the implementation of tablet technology in the classroom as the technology is available to allow students to use their tablets to read electronic books, take notes, take photographs, create presentations, and collaborate in real-time with each other. Instead, the most important issue appears to be the training of teachers to use tablet technology. Schools must be prepared to provide training and support to teachers related to the implementation and use of tablet technology. If this training and support are provided, teachers can feel more comfortable with using the technology in the classroom and utilizing the technology in a way that truly enhances the curriculum. Without this training and support, however, there is a real likelihood that the overall teaching process may suffer, as well as the educational outcomes of students because the technology will not be used as effectively as possible, or will become more important than the actual curriculum and educational objectives. Alvarez, C., Alarcon, R. & Nussbaum, M.. Implementing collaborative learning activities in the classroom supported by one-to-one mobile computing: A design-based process. The Journal of Systems and Software 84, pp. Bauleke, D. S. & Herrmann, K. E.. Reaching the ibored. Middle School Journal, January, pp. 33-38. Bouterse, B., Corn, J. O. & Halstead, E. O.. Choosing the perfect tools for one-to-one. Learning & Leading with Technology, August, pp. 14-17. Cochrane, T.. Learning: Why? What? Where? How? In G. Williams, P. Statham, N. Brown & B. Cleland (Eds. ), Changing Demands, Changing Directions. Proceedings Hobart. Culen, A. L. & Gasparini, A.. IPad: A new classroom technology? A report from two pilot studies. InFuture Proceedings. Denson, C.. Handheld computing devices. Technology and Children 13, pp. 16-18. Fernandez-Lopez, A., Rodriguez-Fortiz, M.J., Rodriguez-Almendros, M.L. & Martinez-Segura, M.J.. Mobile learning technology based on iOS devices to support students with special education needs. Computers & Education 61, pp. 77-90. Garcia, E. R. & Freidman, A. "There's an App for That": A Study Using iPads in a United States History Classroom. Paper for Wake Forest University Department of Education. Gliksman, S. What do Students Think of Using iPads in Class? Pilot Survey Results. Goldman, S., Pea, R., Maldonado, H., Martin, L. & White, T.. Functioning in the wireless classroom. Gorder, L. M.. A study of teacher perceptions of instructional technology integration in the classroom. The Delta Pi Epsilon Journal 1, pp. 63-76. Keane, L. b. & Crews, T. B.. Moving out of the classroom: Using pdas and tablet pcs in teaching and learning. K.. Supporting pen-based classroom interaction: New findings and functionality for classroom partner. Proceedings of the First International Workshop on Pen-Based Learning Technologies. Learning Exchange,. iPads in Schools: Use Testing. Catholic Education - Diocese of Parramata, Australia. Loch, B. & Fisher, W. Facilitating change: tablet PC trials across two distance education focused universities, Conference Proceedings of ASCILITE. McManis, L. D. & Gunnewig, S. B.. Finding the education in educational technology with early learners. Young Children, May, pp. 14-24. Melhuish, K. & Falloon, G.. Looking to the future: M-¬learning with the iPad. Computers in New Zealand Schools: Learning, Leading, Technology, 22(3). Milman, N. B., Carlson-Bancroft, A. & Boogart, A. V.. IPads in a prek-4th independent school-Year 1-Enhancing engagement, collaboration, and differentiation across content areas. Paper presented at the International Society for Technology in Education Conference. Norris, C., Hossain, A. & Soloway, E.. Using smartphones as essential tools for learning. Educational Technology, May-June, pp. 18-25. Norris, C. A. & Soloway, E.. Learning and schooling in the age of mobilism. Educational Technology, November-December, pp. 3-10. Olofsson, A. D., Lindberg, J. O., Fransson, G. & Hauge, T. E.. Uptake and use of digital technologies in primary and secondary schools-A thematic review of research. Nordic Journal of Digital Literacy 4, pp. 208-225. Pachler, N. (Ed.) Mobile Learning: Towards a Research Agenda. Occasional Papers in Work-based Learning 1. WLE Centre , London. Park, Y.. A pedagogical framework for mobile learning: Categorizing educational applications of mobile technologies into four types. The International Review of Research in Open and Distance Learning 12. Project Tomorrow. Personalizing Learning in : The Student and Parent Point of View. Tablets are coming to a school near you Roschelle, J. Keynote paper: Unlocking the learning value of wireless mobile devices. Journal of Computer Assisted Learning 19, 260-272. Savill-Smith, C. & Kent, P.. The use of palmtop computers for learning: A review of the literature. Singh, G., Denoue, L. & Das, A.. Collaborative note taking using pdas. Journal of Information Science and Engineering 21, pp. 835-848. Speak Up National Research Project. Personalizing Learning in 2012 - The Students and Parents Point of View. Project Tomorrow. Swan, K., Kratcoski, A., Hooft, M. V., Campbell, D. & Miller, D.. Technology support for whole group engagement: A pilot study. Advanced Technology for Learning 4, pp. 68-73. Traxler, J.. Will Student Devices Deliver Innovation, Inclusion and Transformation? Journal of the Research Centre for Educational Technology, Kent State University. Tutty, J. & White, B.. Tablet classroom interactions. Proceedings of the 8th Austalian conference on Computing education, pp. 229-233. Proceedings of the 7th Australasian conference on Computing education 42, pp. 165-172. Vahey, R., Tatar, D. & Roschelle, J.. Using handheld technology to move between the private and public in the classroom. Vrtis, J.. The Effects of Tablets on Pedagogy. Paper for TIE 593, National Louis University. Wang, F. & Reeves, T. C.. Why do teachers need to use technology in their classrooms? Issues, problems and solutions. Computers in the Schools 20, pp. 49-65. Warschauer, M., Arada, K. & Zheng,. Laptops and inspired writing. Journal of Adolescent & Adult Literacy 54, pp. 221-223. Williams, P., Wong, W.L., Webb, H. & Borbasi, S.. Mobile Technologies in the Field: iPads - Rescuer or Rescuee? In G. Williams, P. Statham, N. Brown & B. Cleland (Eds. ), Changing Demands, Changing Directions. Proceedings ascilite Hobart 2011. (pp. 250-262). Researching the impact of web technology on education and writing assignments.